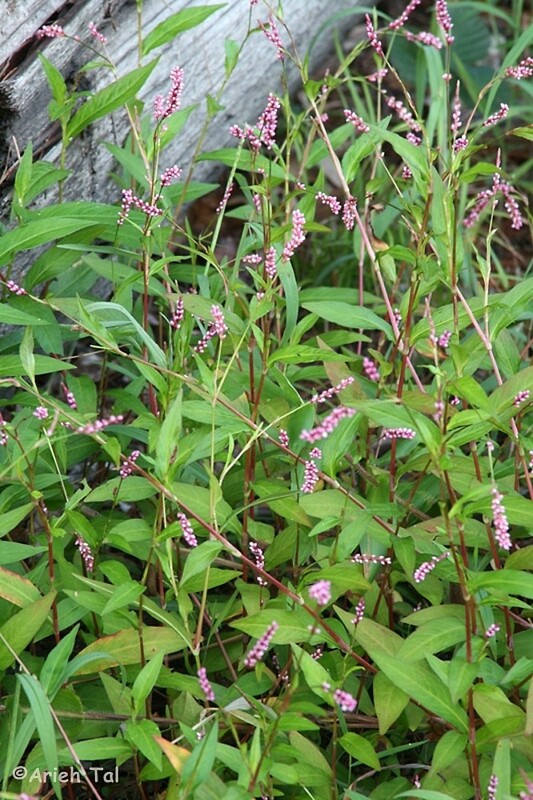 Oriental lady's-thumb smartweed is an invasive annual of wet disturbed areas, where it can form large stands. 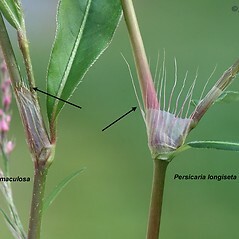 summit of sheathing stipule fringed with hairs mostly 0.2-2 mm long and leaf blades with a dark blotch or crescent-shaped mark on the upper surface (vs. P. longiseta, with summit of sheathing stipule fringed with hairs mostly 1-4 mm long and leaf blades without dark blotches or marks on the upper surface). 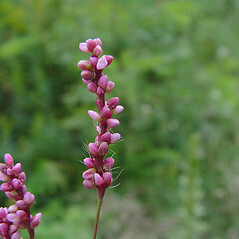 Oriental lady’s-thumb smartweed. 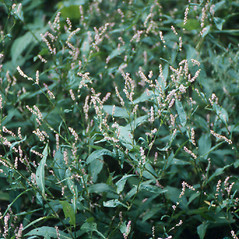 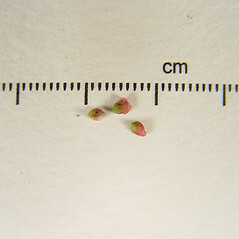 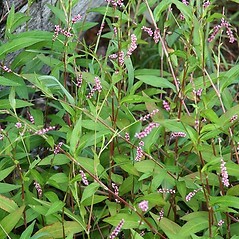 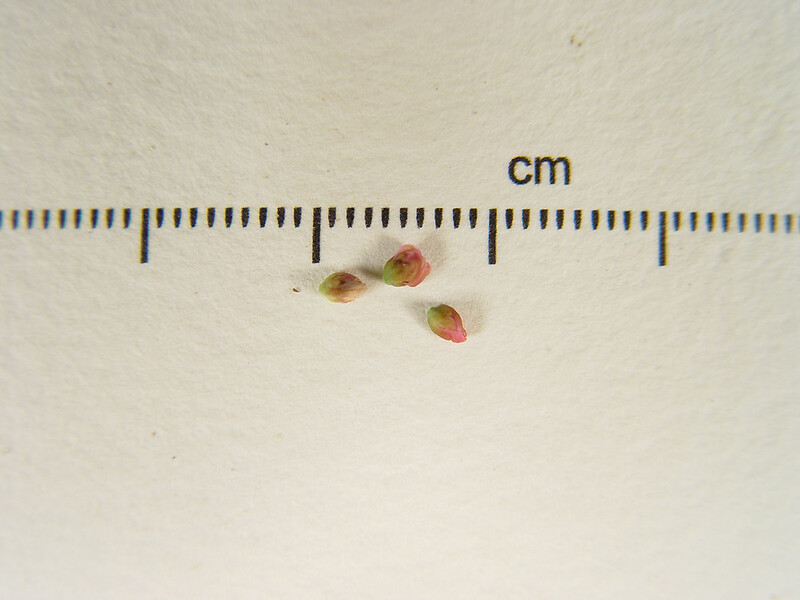 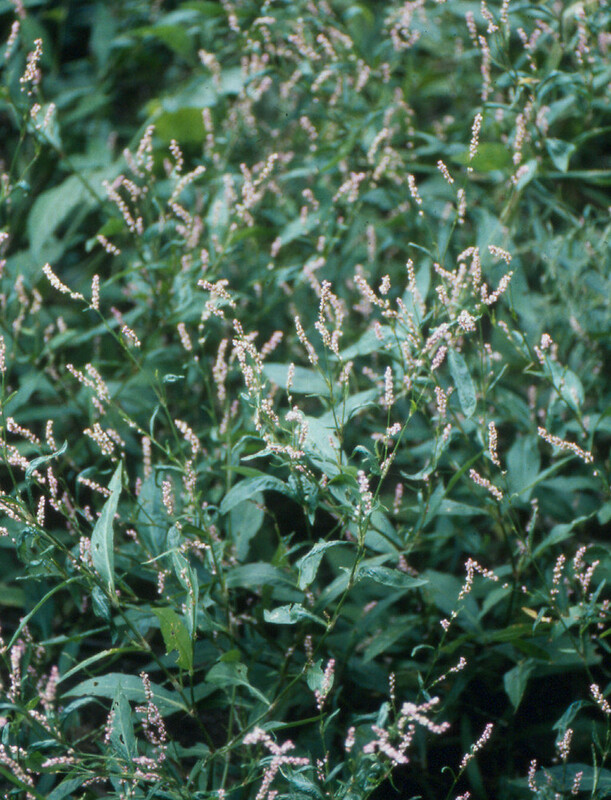 Persicaria caespitosa (Blume) Nakai var. 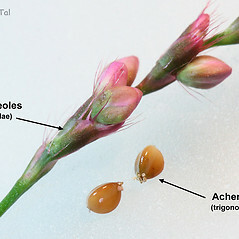 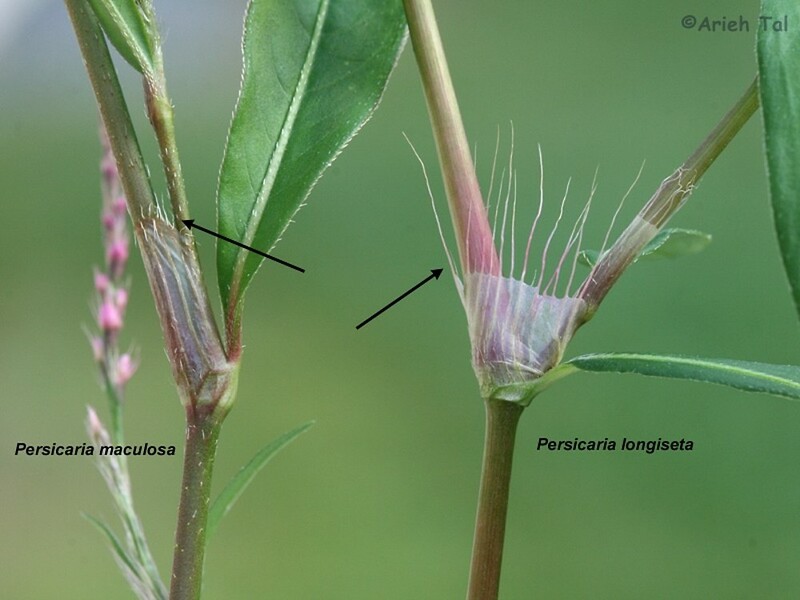 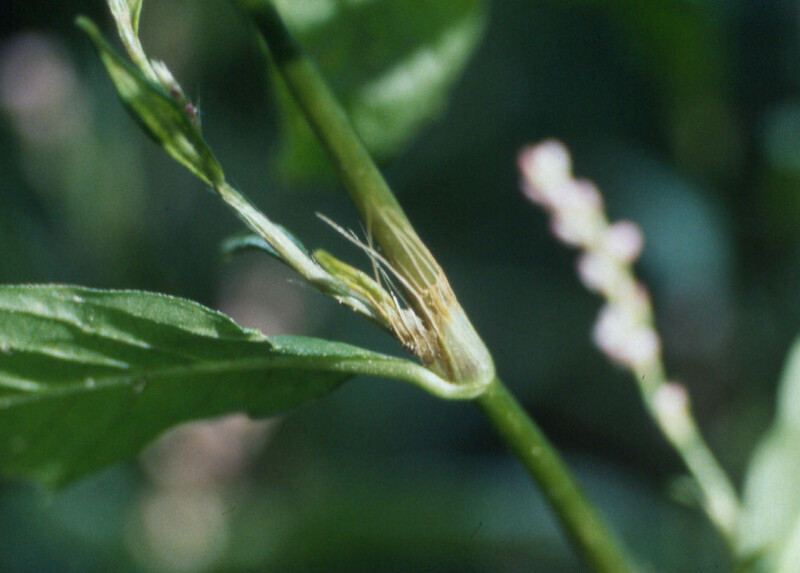 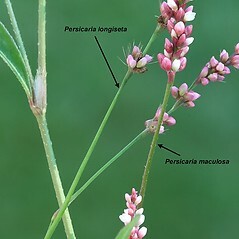 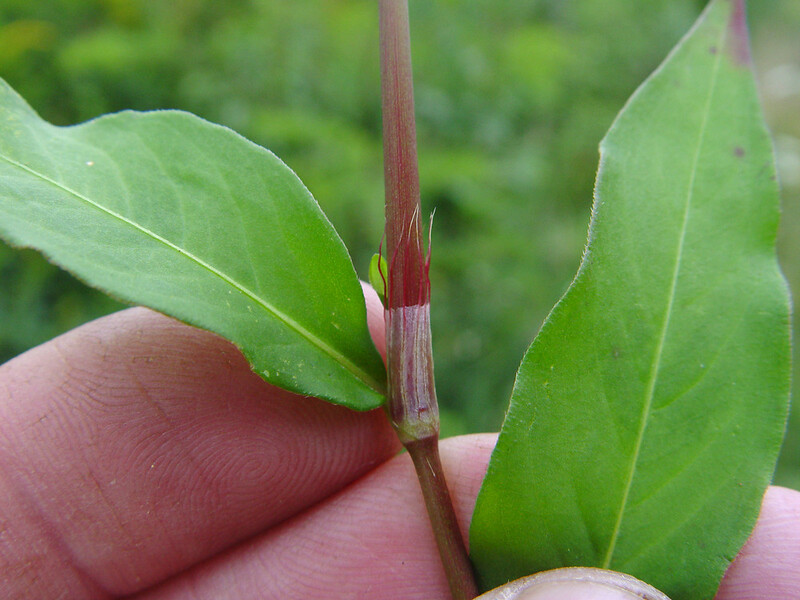 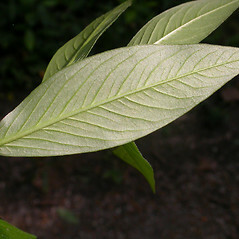 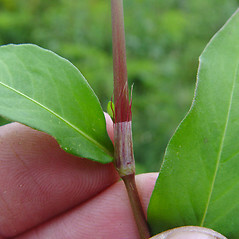 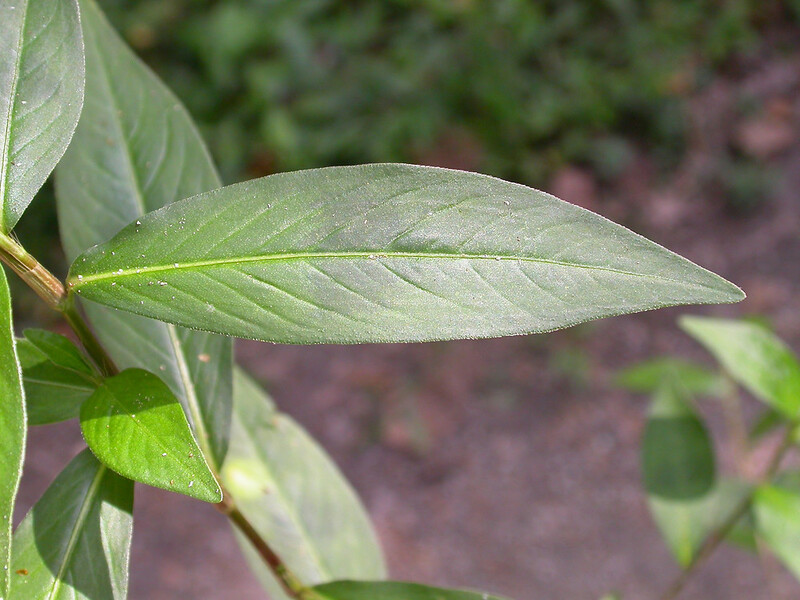 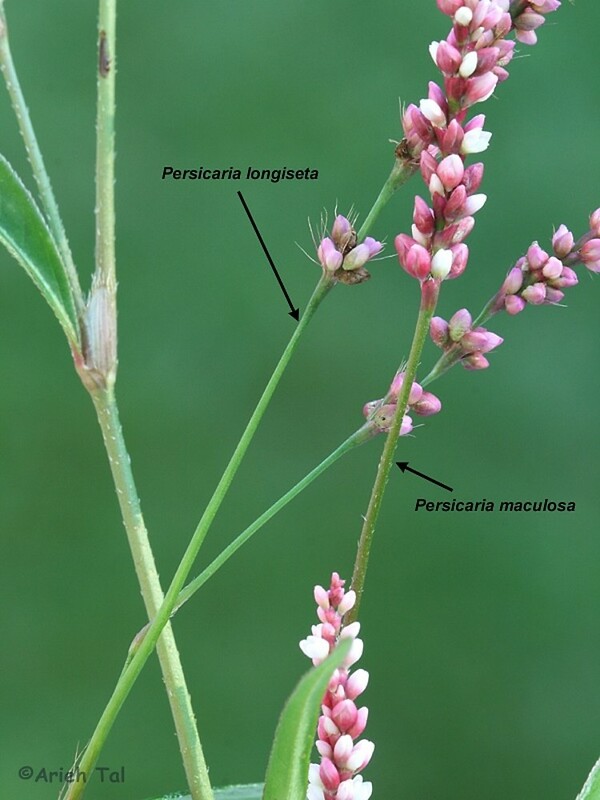 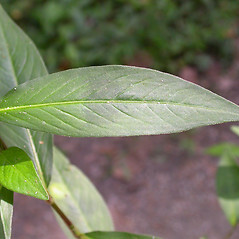 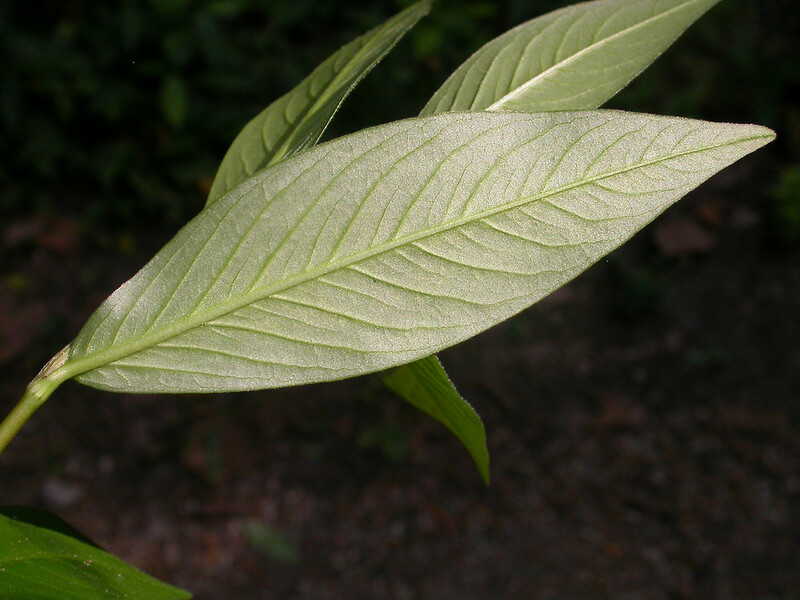 longiseta (Bruijn) Reed; Polygonum caespitosum Blume var. 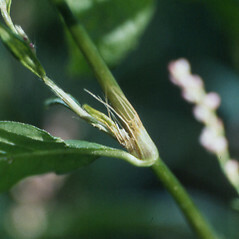 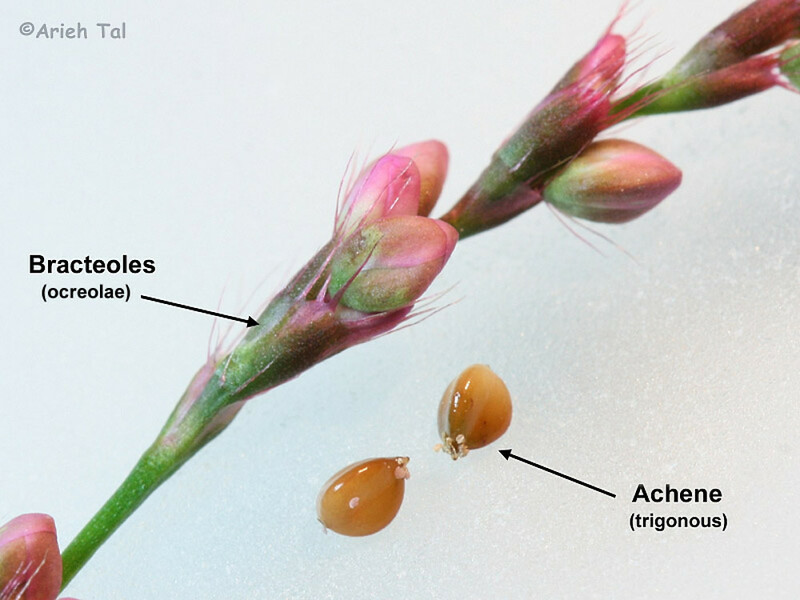 longisetum (Bruijn) Steward; P. longisetum Bruijn • CT, MA, ME, NH, VT; also reported from RI by George (1997), but specimens are unknown. 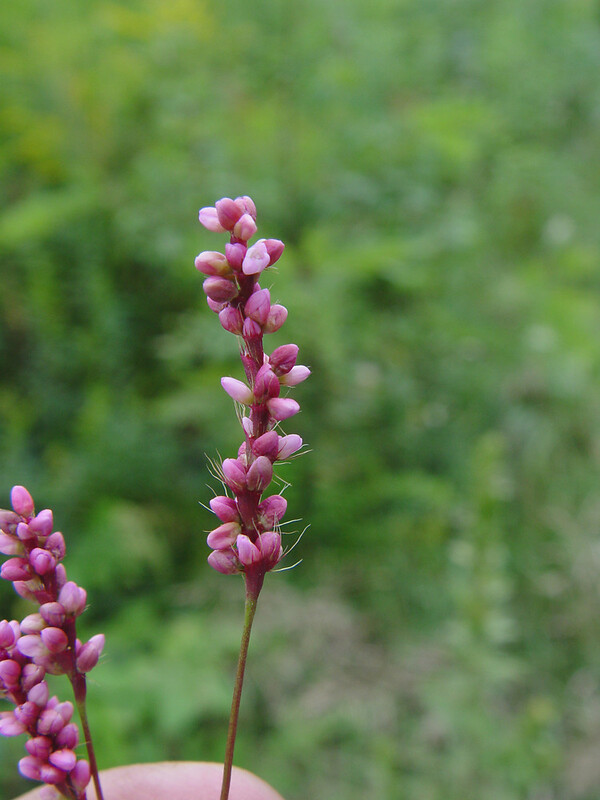 Fields, roadsides, waste areas, riparian forests.